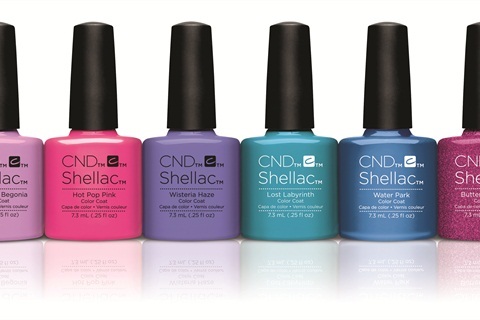 CND Shellac's Summer 2015 Garden Muse Collection delivers flawless wear, superior color, and mirror shine with zero dry-time and no nail damage. It is the healthiest manicure choice for natural nails with no surface filing and can be layered for endless color customization. The color is 3-free, with no formaldehyde, toluene, or DBP, and prices at $15.95 a bottle. For more information, visit CND.